CLOSEOUTS . 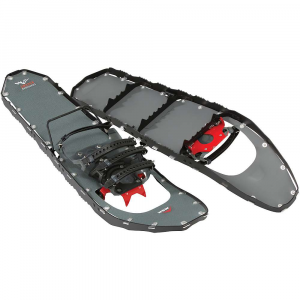 Built for climbing, Louis Garneauand#39;s Everest 822 snowshoes boast a reinforced deck with a BOAand#174; closure system, lightweight high-traction TRAXIONand#174; HCS crampons, and a Freemotion foot pivot that prevents your snowshoes from hitting your leg. Available Colors: WHITE/RED, BLACK/RED. The Everest is aptly named. To conquer the highest peak in your neck of the woods, you need the right tools. This snowshoe was made for climbing, with a set of metal crampons that bite into the snowy hill. 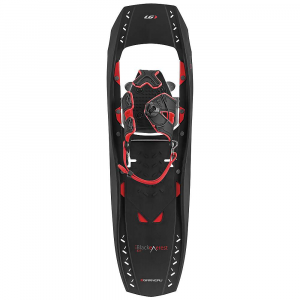 What's more, its polymer deck provides lightness and comfort as snow easily glides off. 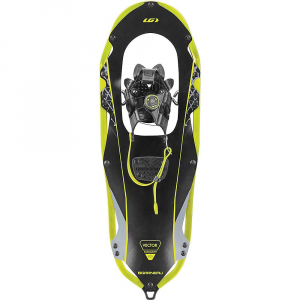 This snowshoe was named 2014 Gear of the Year by Outside Magazine for it's combination of features and its amazing functionality. It offers great traction, superb ergonomics, features designed to take on the steepest mountain, and all that at a surprising weight. . . . . . This product ships directly from Louis Garneau and will leave their warehouse in 2-3 business days. . . . . . . . EDGE molded polymer deck: Lightweight, sturdy, and resistant down to -40degC. U-BAR technology reinforces the underside for a responsive perimeter while a stiff underfoot provides lively, reliable strides.. . Zero Boundary HCS and V-Rail crampons: Absolute traction on any terrain. High carbon steel and rust-protected by a zinc oxide coated with a polymer powder coat.. . Single Boa(R) closure system: User-friendly, winter-proof and lifetime warranty. in.The best closure system on the market. in.. . Freemotion pivot: Free foot rotation on axle for an efficient stride. 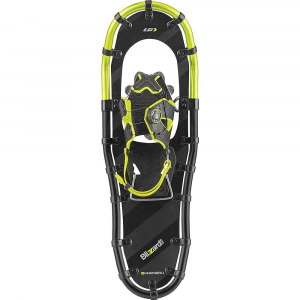 The rotation controller prevents the snowshoe from hitting the leg.. . Contact harness with EVA padding: 360-degree retention for optimal support.. . 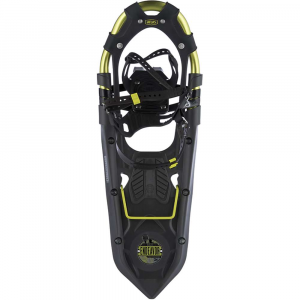 STEP UP heel raiser: Reduces calf fatigue while climbing.. . Snowfree surface: Excellent snow shedding from deck. . 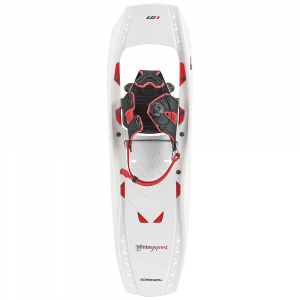 Lifetime limited warranty. . 827 User weight: 125 - 225 lb / 57 - 91 kg. . 827 Snowshoes weight: 4.4 lb / 2 kg. . The Everest replaced the Louis Garneau Black Everest. The Louis Garneau Everest is not available from the stores we monitor. It was last seen March 6, 2019	at CampSaver.com.